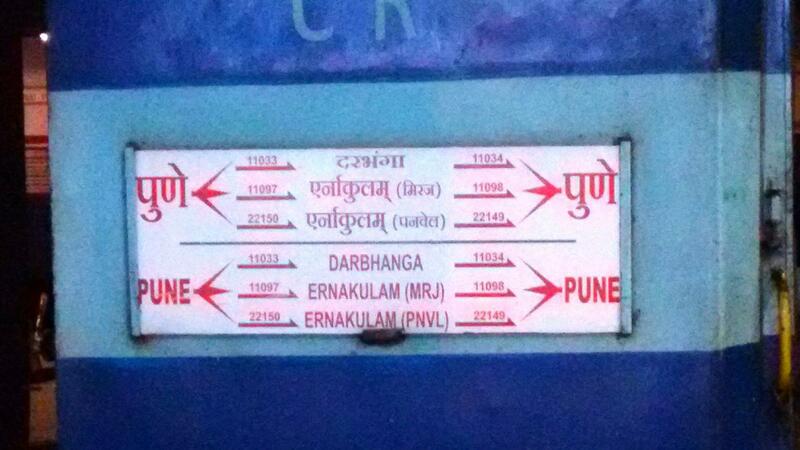 The Shortest Route between ERS and PUNE is 82 km (6%) shorter. 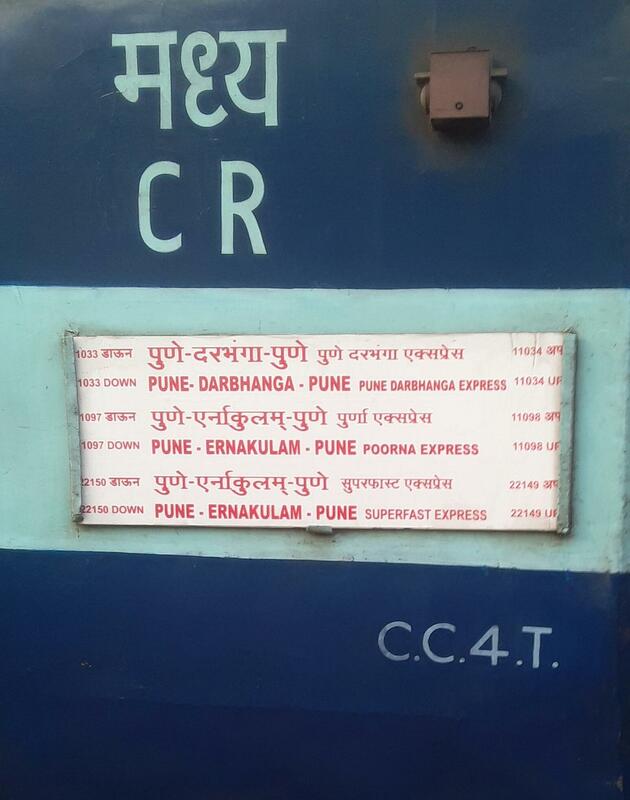 Train No.22149 Ernakulam – Pune superfast express, scheduled to leave Ernakulam at 05.15 hrs., will leave late by 45 minutes, at 06.00 hrs. on 21.12.2018. PC is available, but it is non-functional. PC coach is locked. Vendors will take the order and provide food through base kitchens on stations enroute.